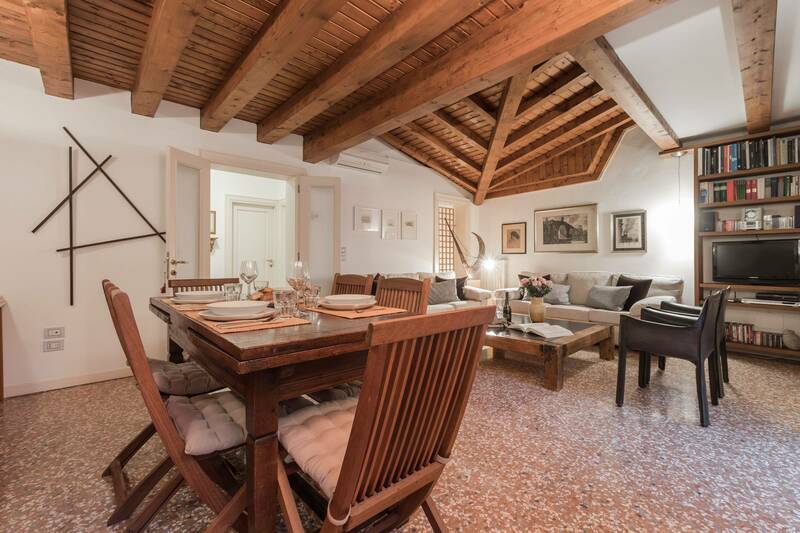 The Biennale apartment features all the most desirable characteristics a visitor could want: a dining terrace overlooking a canal, a beautifully furnished cozy living-dining room and two bedrooms on the first floor in a very central but quiet part of the San Marco District. 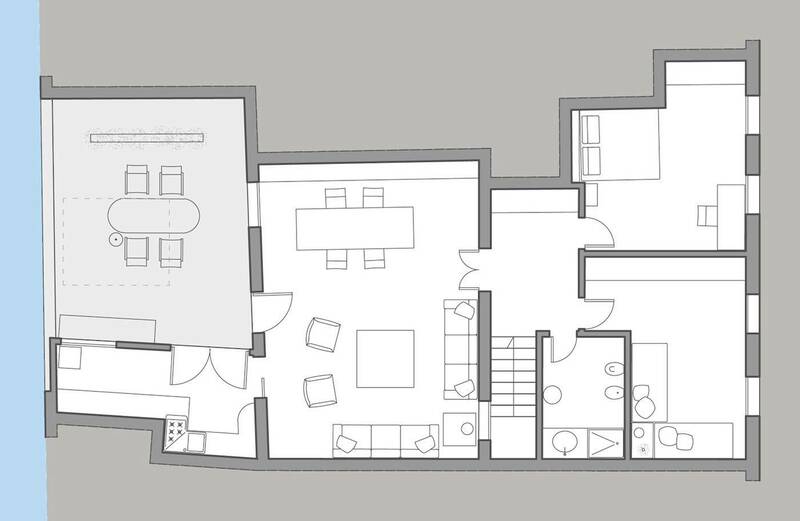 The master bedroom has an office corner and the second bedroom has two single beds that can be set up as a double. The kitchen is fully equipped and has stylish black marble countertops. 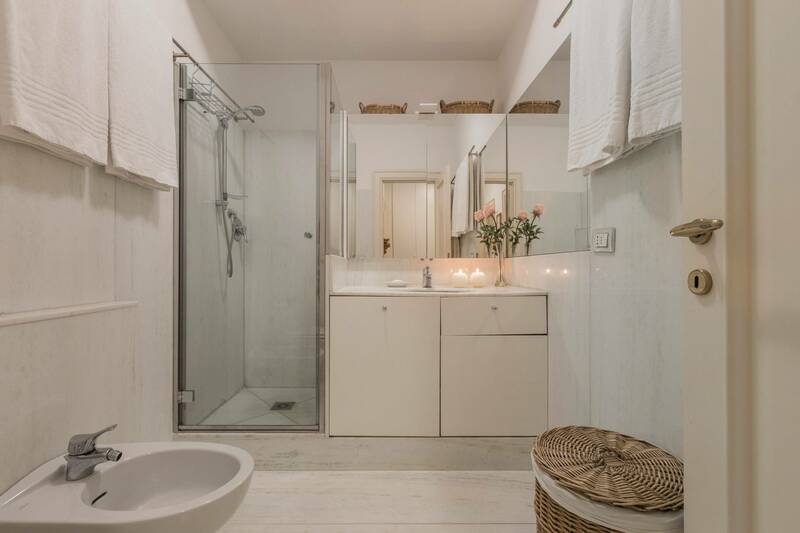 The white marble bathroom has a large shower stall. 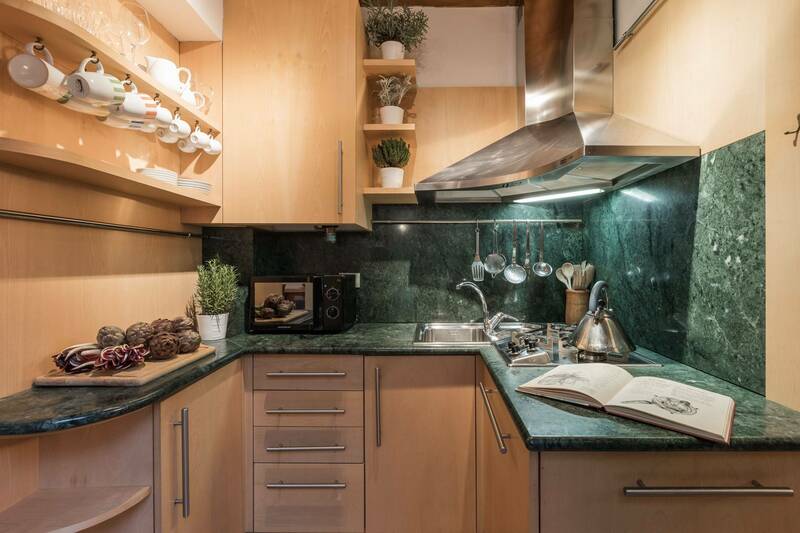 This amazing apartment with a slightly Latin feel has Wi-Fi, air-conditioning throughout, a dishwasher, washing machine, fridge, freezer, 4-burners gas stove, oven, kettle, satellite TV, DVD player and other appliances. There is also a good selection of books in the library. The great plus is definitely the quiet and spacious terrace. It has a wonderful view of a picturesque canal and is furnished with a nice wooden table and chairs, a big sun umbrella and two deck chairs. The terrace is so quiet because the canal is too small for large boats and the street opposite the terrace is a narrow dead-end without pedestrian traffic. 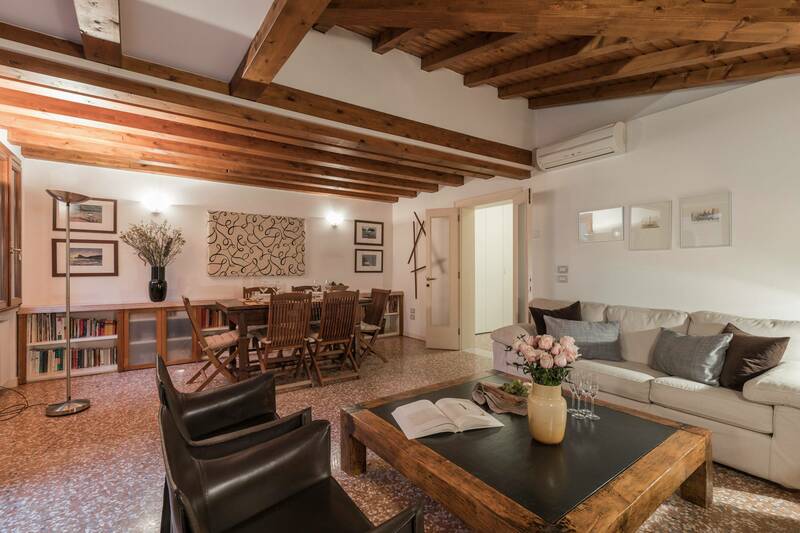 The location of the apartment, just steps away from Campo Sant'Angelo, is fabulous. 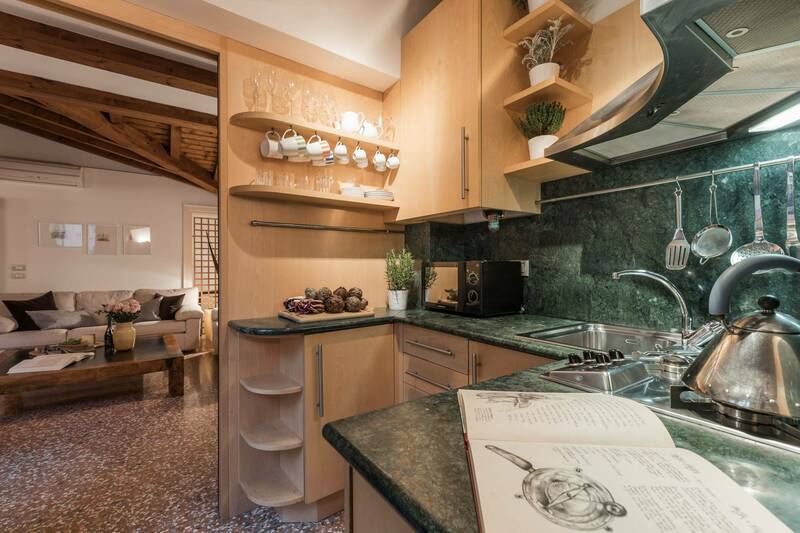 It is less than a 10 minutes walk to Piazza San Marco, the Rialto or the Accademia Bridge. It is highly recommended for anyone who loves beauty. The caring owners invite their guests to care for this special home as if it were their own. Staying here was a wonderful experience. Besides the homes lovely appointment and location, it literally had everything needed for a comfortable stay. 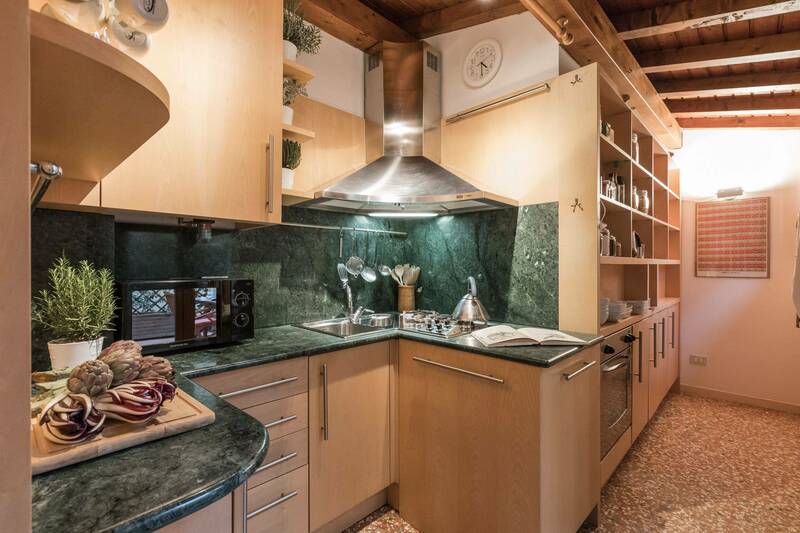 Kitchen was fully stocked to create delicious meals if you choose. The host was extremely helpful, including arranging dinner reservations for 10 (at the last minute). 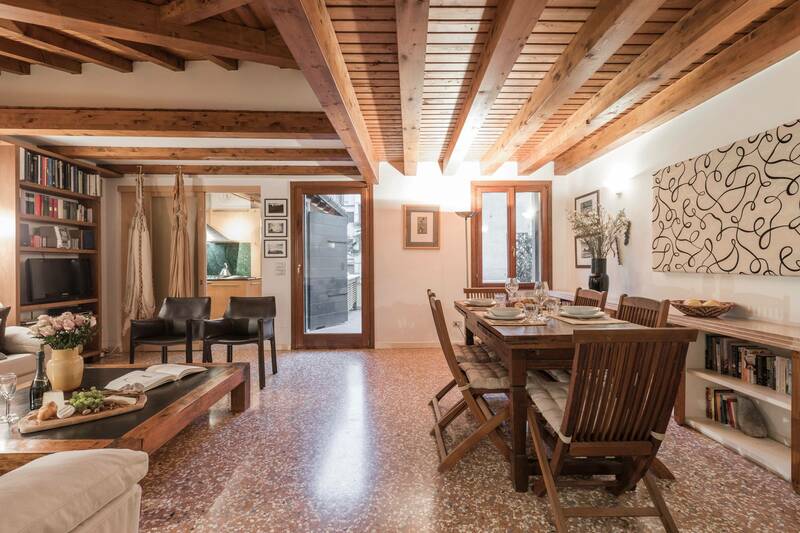 I can’t say enough about Truly Venice and this home itself. Thank you for making our Venice stay just perfect! 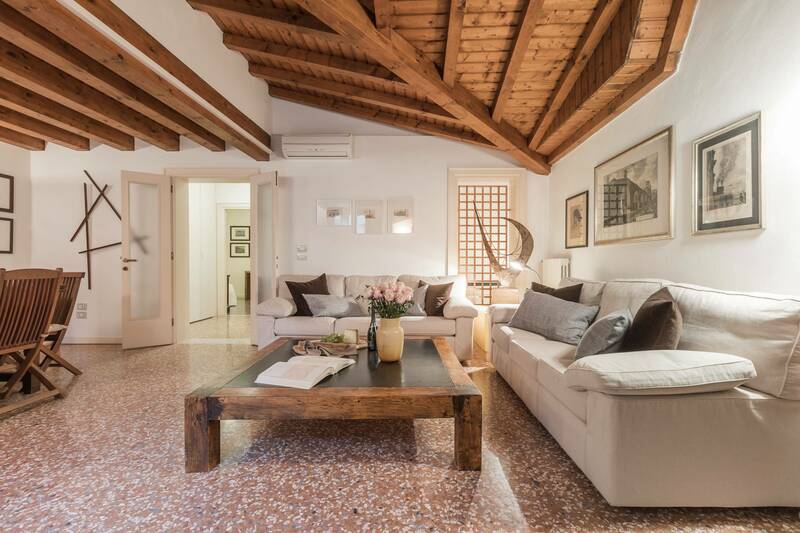 This is the perfect flat for a stay in Venice! The flat has an over the top location and the standard where just fantastic. We loved the place! Recommended! We loved our stay in this very comfortable apartment. The furnishings were exactly as promised and the apartment had everything needed to make it a great place to stay for our holiday. The two best qualities were the location and the open patio/deck overlooking a canal. 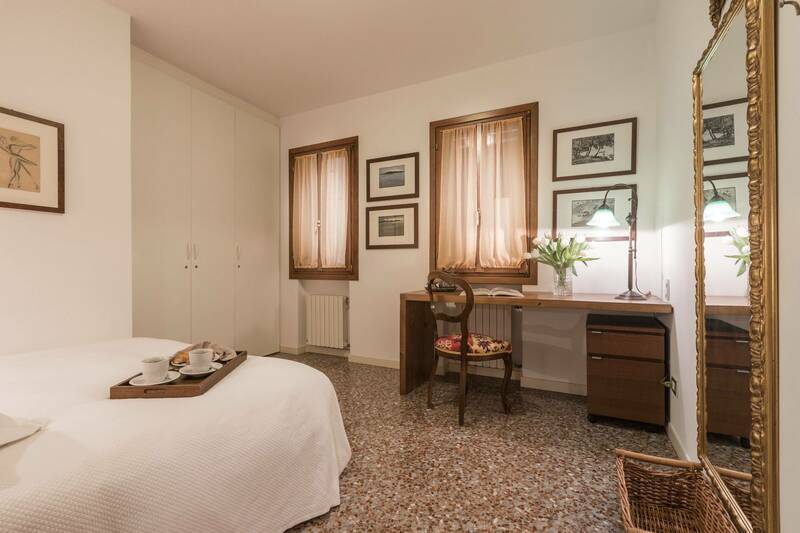 Perfectly situated to walk to San Marco as well as several other great stops. Even better, it was just far enough to off the beaten path to be quiet - that's important when arriving jet lagged! 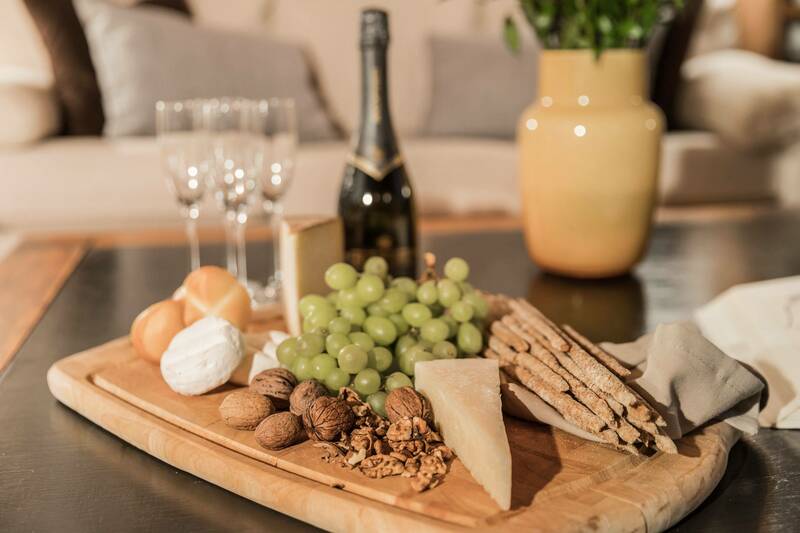 With a grocery store very close by each day could end on the open patio with wine and cheese before heading out to dinner - very few apartments have a patio like this. We highly recommend this apartment! 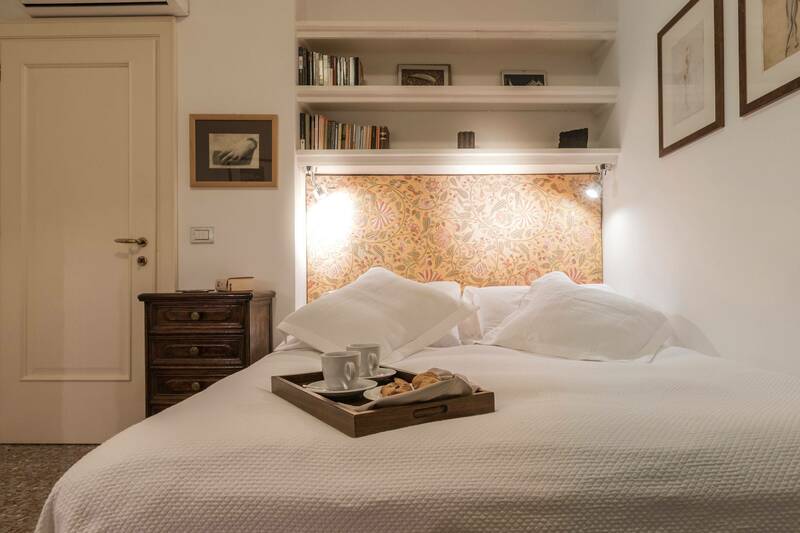 This property has a large balcony overlooking a quiet canal, just perfect for late morning coffee or lazy evening reading a book. Just like we wanted. All three main rooms had separately adjustable AC units which made the life at the hottest time of the year nice. 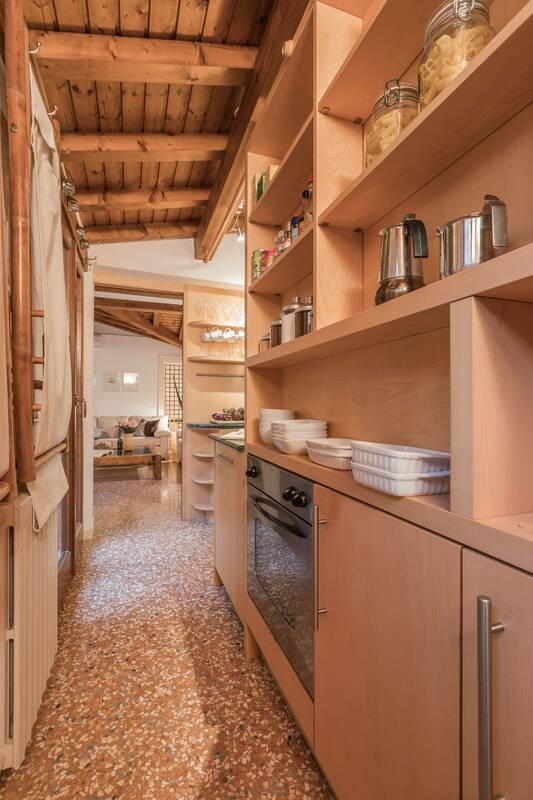 Kitchen is on the smaller side but space enough for two people cooking. We mostly did our breakfast lunch there though during our two-week vacation, preferring to eat outside during the evenings. And yes, apartment WiFi worked nicely through whole time. We very much enjoyed this rental. Truly Venice made our first (but not last) visit to this beautiful city so easy. We were met at our Vaporetto stop and walked to the apartment. The representative went through all the particulars regarding the unit. The location is great, near everything but quiet. The apartment had everything we needed for our 4-night stay. We particularly liked the decor. The owner obviously took care in assembling some great things. The kitchen is small, but who cares? You're in Venice! 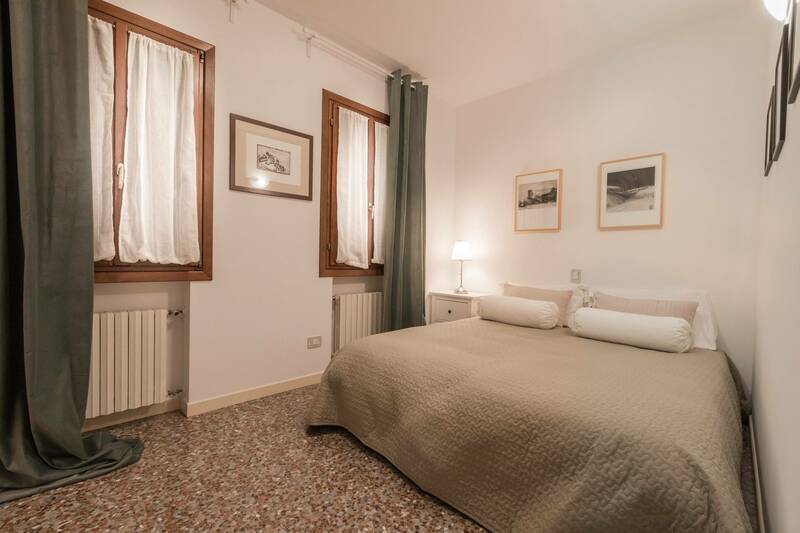 Renting the Biennale apartment just off the Campo San Angelo with a terrace on a quiet canal we were able to get the feel of Venice day trippers or hotel guests just don't experience. 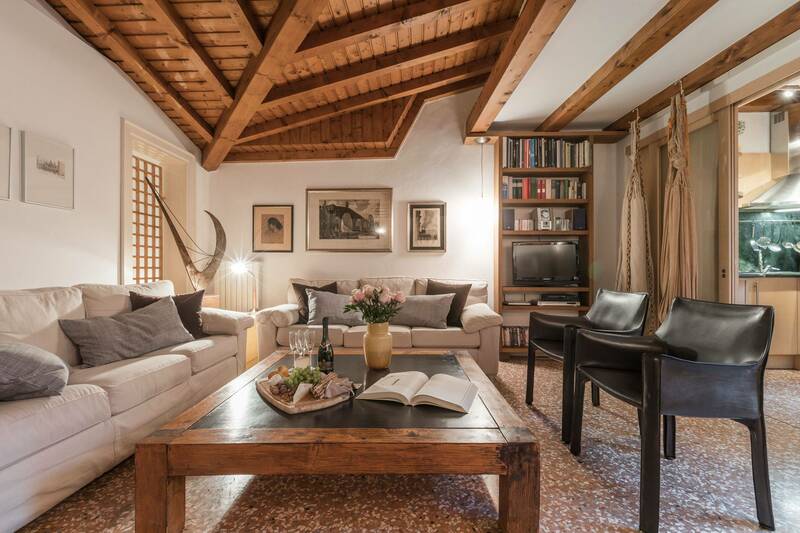 Daniela Scarcia and her staff at Truly Venice made renting easy and as you can see by the pictures it is a very beautiful apartment. The location is near perfect centered between all the big tourist venues but set off just enough to be comfortable. 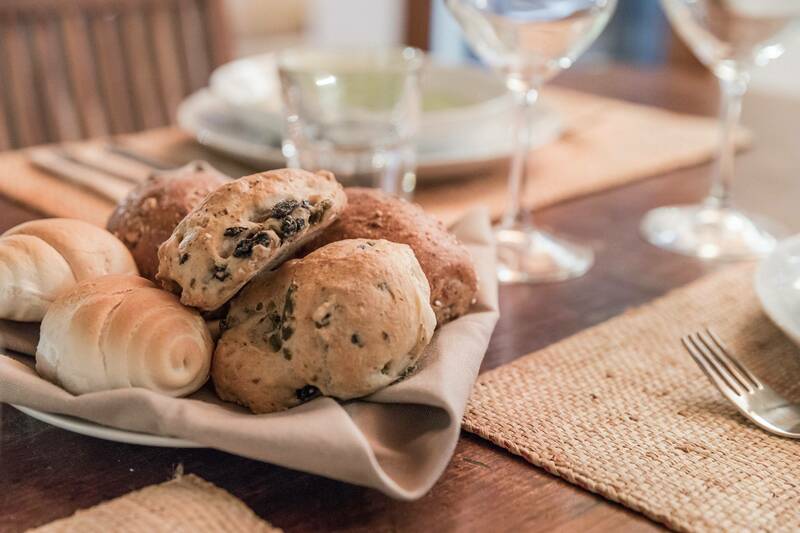 A spritz on our own terrace, cooking up a dinner with wonderful things from the Rialto market will be long remembered. 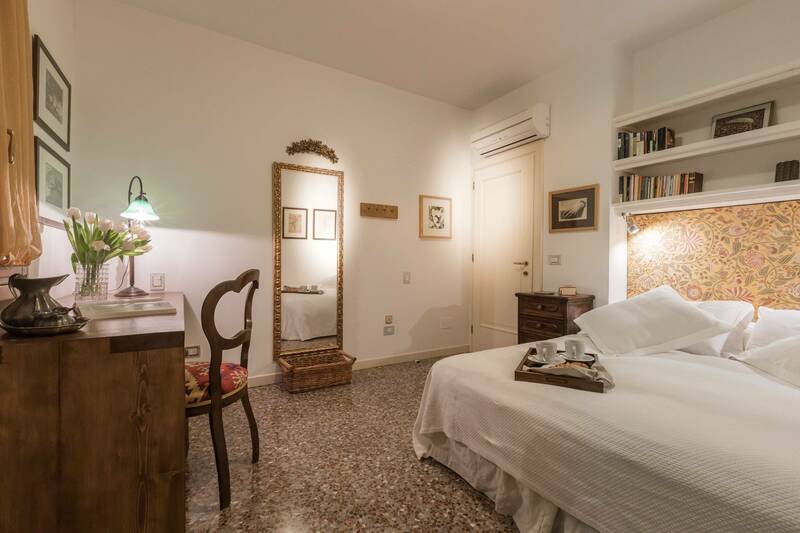 Having rented the Angelo Raffaele just down the calle through Truly Venice two years ago, I was happy to recommend that apartment to friends who were in Venice at the same time. Biennale met all our expectations! 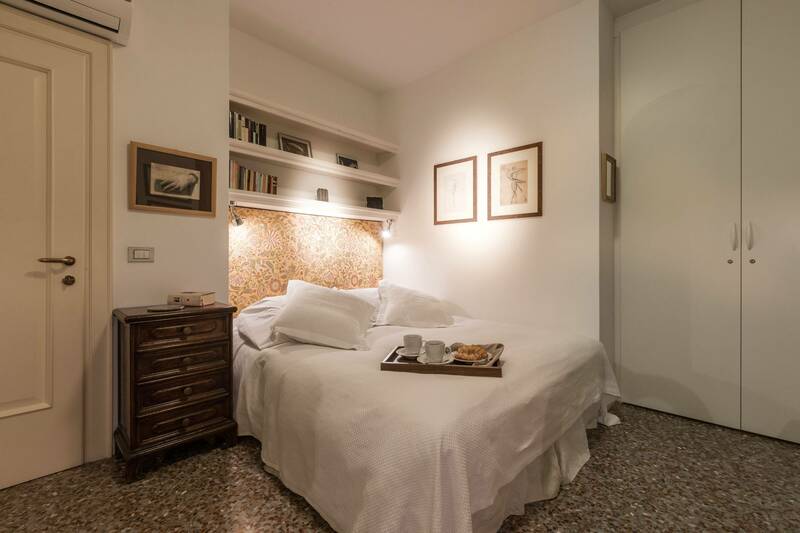 On my third trip to Venice, I was delighted with the choice we made of the Biennale apartment. It was true to the photos and information provided. The location was perfect. 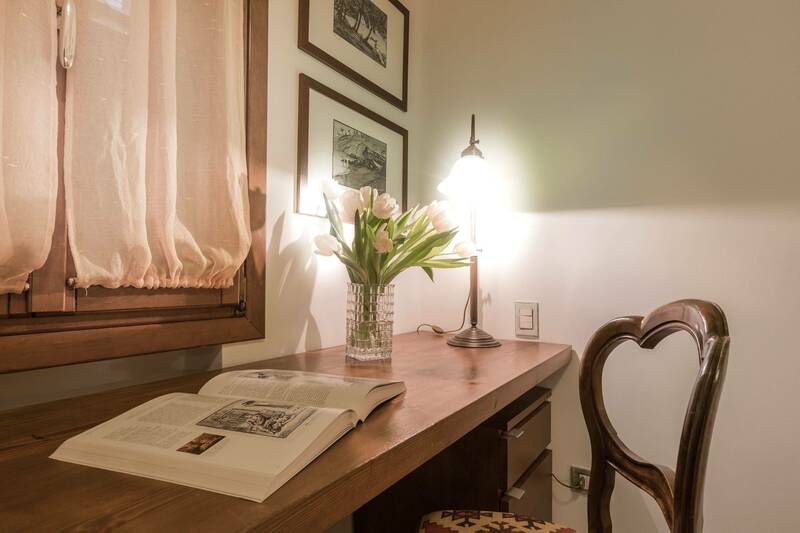 It is close to transportation (S. Angelo Vaporetto), and shopping (grocery within a city block away - over a ponte and around the corner from Campo Beneto). It is situated in a quiet spot, away from the hustle and bustle. The apartment was warm and inviting, comfortable decor, and perfect for my husband and I, my daughter and her son. We spent relaxing mornings and evenings on the quiet terrace. 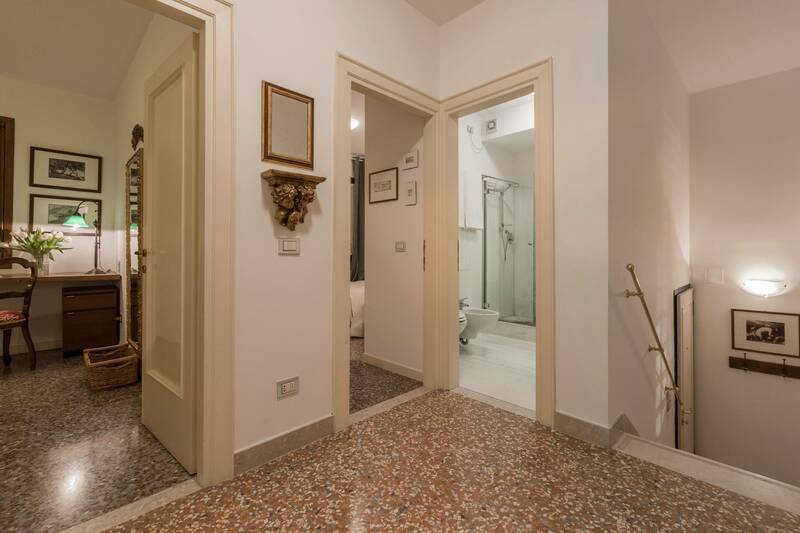 I highly recommend this apartment, and Truly Venice to all traveling to one of my favorite cities. I've already told all my traveling friends of this wonderful location. Fantastic! The Biennale was in a great location and it was wonderful. The balcony allowed us to enjoy time in the apartment whilst enjoying the views from the balcony over the canal. We did two tour with Truly Venice, and the guide was exceptional and well worth it. Thanks - we will be using Truly Venice again. 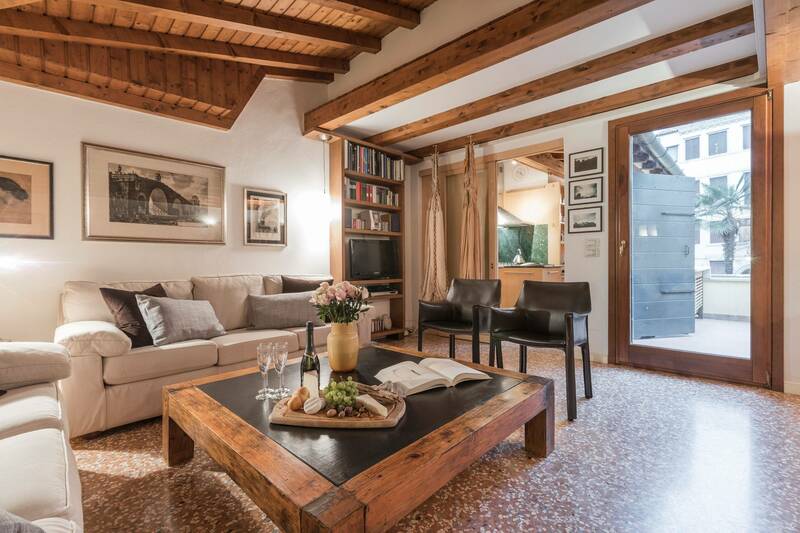 The property had several perks including a very nice terrace overlooking a canal, being on a quiet street just off a major piazza, in San Marco where you want to be and less than a 3 minute walk to a water taxi stop. We can't wait to go back to Venice and stay there again. The Biennale was the perfect place to stay for my small family this Summer. It had the rare combination of qualities; open, airy, quiet, but close to everything, a large terrace overlooking a tranquil canal with a beautiful garden across it. 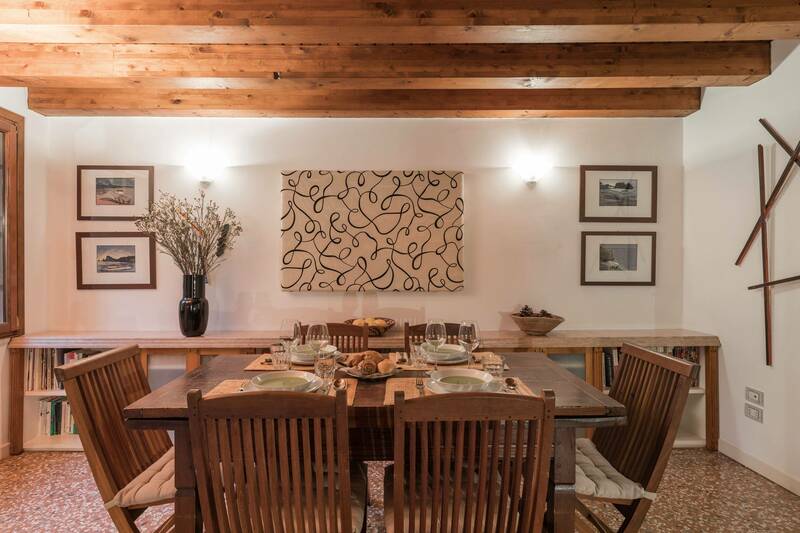 The apartment was filled with original art, a good collection of books, comfortable couches and a big dining table inside and out to be able to spread out and get comfortable after a long day of sight-seeing. The kitchen was a bit tight and was a little short on cooking implements, so we ate out mostly, although enjoyed breakfast in every day. 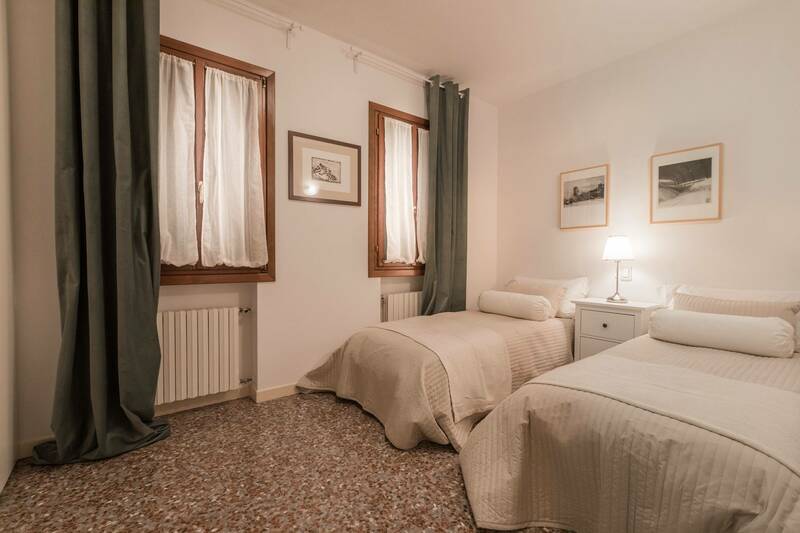 The beds were very comfortable and for a week we felt not like tourists, but like we were living in Venice.